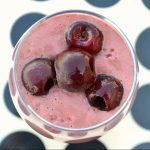 This Easy Black Forest Cake Smoothie can also be easily turned into a complete meal replacement if you include the optional extra healthy fillers such as oats. 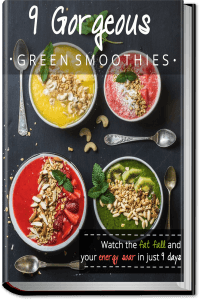 You can turn this recipe into a green smoothie by including the optional leafy greens in this recipe. I have an amazing recipe for you today. 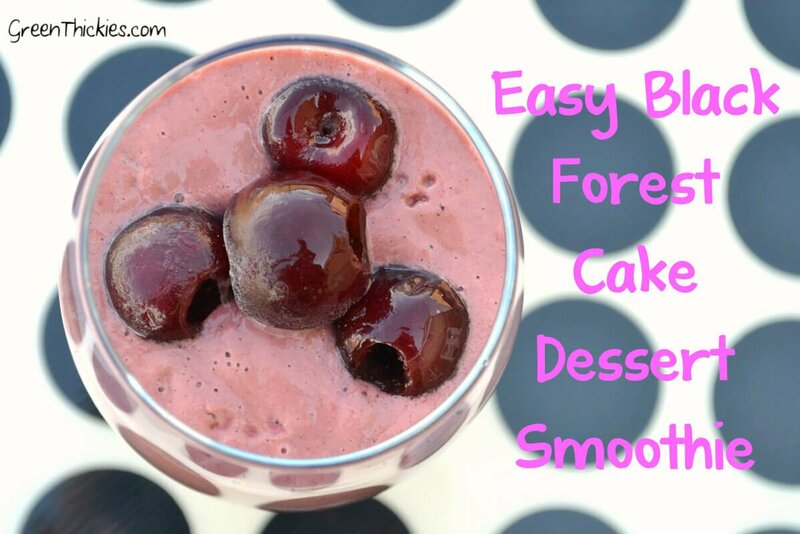 This easy black forest cake smoothie is my favourite green thickie of all time. Once you taste it I’m sure it will make a regular appearance in your diet. A Green Thickie of course and a couple of slices of left over fruit that my baby leaves. In the winter I have a big bowl of vegetable soup with some greens such as spinach added in once it’s in the bowl (to preserve the nutrients) and some rice cakes with some homemade hummus. In the summer I have a large salad with whatever else is in the fridge piled on top of it. I might have some leftovers from the previous evening’s dinner, or some chopped vegetables or tofu. I also love to put fruit in my salad. I have just been given a slow cooker which is brilliant for getting dinner on the table at exactly the right time. It doesn’t necessarily save me that much time as I still have to measure all the ingredients for the recipe. But it does guarantee that I put the dinner on when I have the most time which is in the morning, and I can forget about it then. Usually I’m feeding my baby or popping out for a quick walk to ensure she gets some fresh air in the hour before dinner needs to be served. The slow cooker also fills the house with a lovely smell of cooking. I snack less and less especially with a baby to look after, but my snacks will generally be in the evening. I might have some kale chips, green smoothies, healthy ice cream, raw snack balls, healthy chia smoothies or just some rice cakes and hummus. Occasionally I’ll make a raw chocolate pudding but I try and limit my cocoa as any caffeine really doesn’t agree with me these days. I would really like to cut out my evening snacks altogether as I know they are mostly for a treat, not really for hunger and it’s better for your body to have a good long break from food between your evening meal and breakfast (when you Break-Fast) but I’m not quite at that stage yet. I’ve gone a few evenings without a meal over the last few months though so I’m making progress. What kinds of foods do you eat on your diet? Please comment below. This Easy Black Forest Cake Dessert Thickie is hands down the most gorgeous recipe I’ve ever tasted. It’s my favourite recipe of all time, my husband also agreed it was his firm favourite and my baby showed me by downing it in one go that she also agreed. 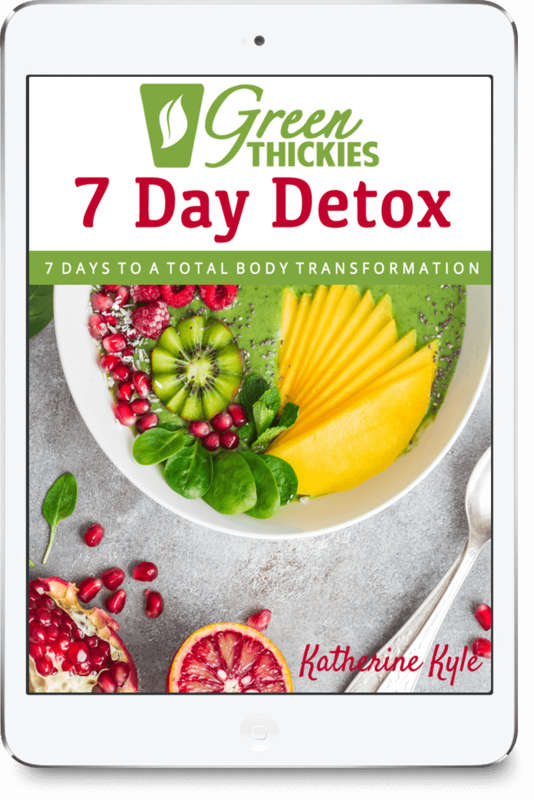 If you only try one dessert thickie, try this one! Luxurious, dark and mysterious, this black forest treat is a clear winner. I used raw ground vanilla which makes all the difference to the way this smoothie tastes. I can’t taste the vanilla extract that I buy in my local supermarket and I taste more of the alcohol in it than the vanilla. So once I tasted this ground vanilla I just couldn’t go back to regular vanilla. Although it’s more expensive, you don’t need as much as it’s such a strong flavour, so hopefully it will last you longer. Unless you become so addicted to the taste you have to literally add it to every smoothie. This Easy Black forest Cake Smoothie is my all time favourite and I’m sure it will be yours too once you try it. 2 Cups Black Forest Fruits: Frozen cherries, grapes, blackberries, blackcurrants. 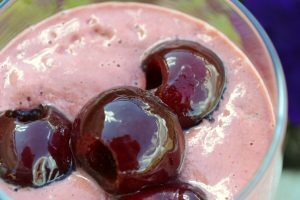 (You can use fresh if you like but it might be harder to find the ingredients and pit all the cherries) If you can’t find this combination, use whatever dark berries you can find. 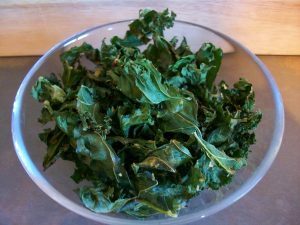 Optional: 1 Cup Spinach OR if you run out of fresh greens, add 2 scoops of Amazing Green Powder for an extra healthy green boost. What a wonderful wholesome treat! It was interesting to read about your daily diet. Mine varies depending on what I am doing, and where we are (we travel a lot) but I always try to make healthy choices. Hi April. Thank you so much for visiting. Yes this smoothie has such an amazing flavour, I couldn’t get enough of it. My diet suits me well at home but when I’m travelling it goes out of the window so usually end up feeling ill. On my last holiday I continued drinking my Green Thickies and felt amazing the whole holiday which is a first for me. It takes a lot more effort to be healthy while travelling but I think it’s worth it if you feel better and enjoy it more. Please could you tell me more about the raw ground vanilla? I’ve been scraping a vanilla pod, but I know that’s not the same, right? Thanks! That’s funny as I also made this smoothie for my Dad who was visiting yesterday. I added some spinach to it and you couldn’t taste it or see it. It’s still my favourite smoothie too. I’m the same, I hardly ever repeat the same recipe as I’m always creating new ones. Thanks so much for letting me know how much you liked it. I’ll have to try it with other frozen fruit combos too as I can’t always get the forest fruits. I’ve added a link to some great raw ground vanilla in the recipe. What country do you live in? Scraping a vanilla pod would probably give you the same kind of flavour as ground vanilla but might get more expensive, but it depends where you live, some people can get hold of reasonably priced vanilla pods, but I can’t here in Scotland so I buy the ground vanilla which is actually quicker to use. That’s great you buy the fruit fresh and then freeze it. It’s a good way to stop your fruit going off and it also makes your smoothie lovely and cold too. You live in Manchester? I lived in Manchester for about 10 years before I moved up to Scotland. Yes pure vanilla is much nicer. Most of my readers are based in the US so I sent an American link, which is why I was asking where you were based. But I actually buy mine from a UK website here: http://www.vivapure.co.uk/raw-foods/ingredients/pure-ground-vanilla-powder.html It seems expensive but you get a lot so it lasts for ages. No way! I live in Moston, North Manchester, which although is actually classed as a slum (my college tutor told me when I was worried about getting my student loan/fees – she said they’ll take one look at my postcode and give me the full amount! O.o) is a nice enough area IMO! :D It’s only a ten minute bus ride from the city centre too :) What did you think about Manchester? Wow! Yes I remember Moston. I had friends there and used to go to a church in Failsworth nearby. A lot of Manchester is similar so you get used to it when you live there. I started in Didsbury after uni, moved to Ashton-Under-Lyne then Dukinfield then out to Glossop which was beautiful. I loved Manchester when I first moved as I was out all the time but after a while I wanted to settle down and the quiet life and it didn’t suit me anymore so we moved out to the countryside. Lots happening there though. Do you like it? I love Vivapure, they have some great products. Thank you for letting me know about Laura’s blog. I just had a quick look and it looks right up my street as she eats vegan and raw and focuses on health. I’ll have to start following it. Thanks for letting me know. Yes, Barra looks stunning. Inverness is beautiful where I live too, but it’s always so grey lately. I think that’s the whole of the UK though at the moment. I love finding blogs that have a similar outlook to me and have been hunting for them for a while so thanks for pointing me in her direction. Yes it is a lovely place. Give me a shout if you’re ever up this way. Thank you. It’s honestly one I make all the time. 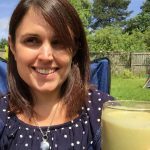 I think it’s my favourite winter smoothie as it’s so satisfying and filling. I can’t get enough of it. Lovely smoothie recipe! Who wouldn’t want to eat some healthy black forest cake? Thanks for sharing it on HVF my dear! Thank you Gabby. I know, it really is one of the most delicious smoothies I’ve ever had. I add greens to mine and the colour doesn’t change. It’s a keeper! You must feel so healthy and good eating like this all the time! looks fantastic as usual, thanks for linking up at Meatless Monday!!!! thanks for linking on Foodie Friday! Aww, so glad you liked it. I would just use a teaspoon of vanilla extract and if you can’t taste it add a bit more. I’ve not tried making smoothies with vanilla beans before. Have you? I have tossed a vanilla bean in a smoothie before. Not much though. I’ve just never heard of ground vanilla before. I’ve seen the beans (use them a lot), extract and paste. 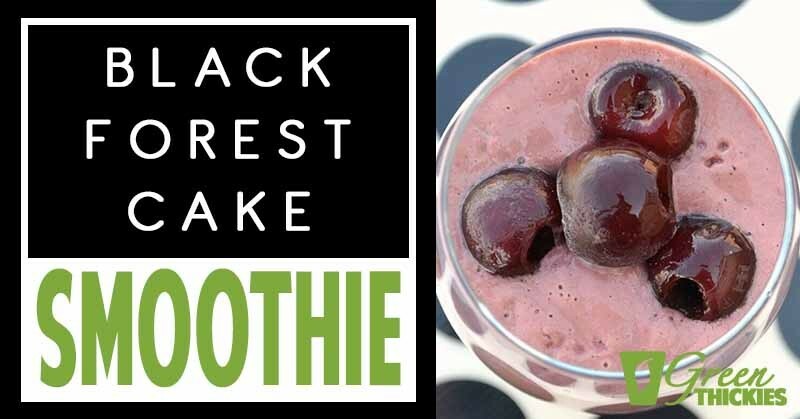 The black forest smoothie would be a fun way to start the day with your kids for breakfast; or, a good after school snack. Thanks for sharing this. 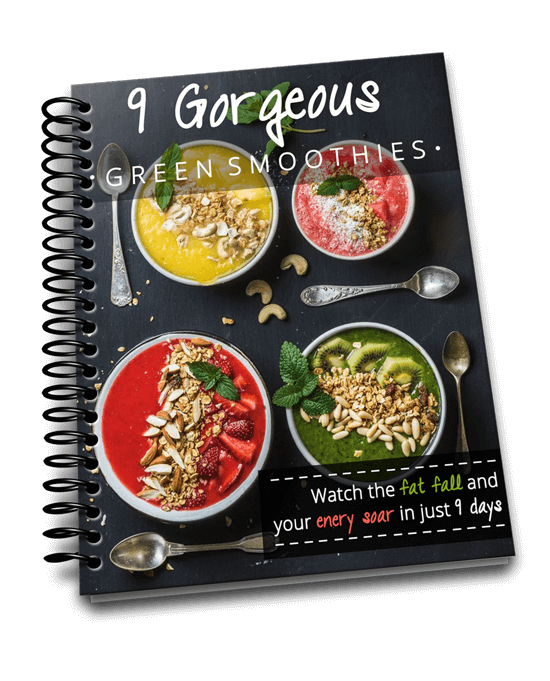 I am so loving this, and I love your blog!Love smoothies esp ones that are good for you! Thanks for linking up at Heavenly Treats Sunday! That looks SOOO good. I have never thought to add oats to smoothies. Sometimes I add eggs (if I get them pastured I am fine with raw eggs) to make them more filling. Do you need a pretty powerful blender to blend all those raisins and nuts? Oh, my daughter’s first name is Natalia, I have never met someone with that name even as their middle name. Oh wow, no I’ve never heard of anyone having that name either. Natalia is actually a confirmation name and I chose it myself! I still love that name now and if I didn’t have that name myself I would have called my baby that too. Hi Debra. Wow you add eggs to your smoothies! That’s something that never would have crossed my mind either. It’s funny finding out everyone’s unusual smoothie ingredients! 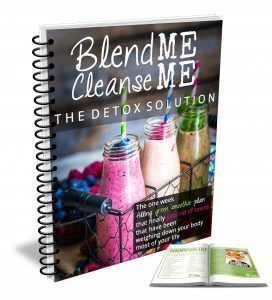 I do have a powerful blender which makes them very smooth but you can use pretty much any blender to blend the ingredients. It helps if you soak ingredients overnight to help soften them though. Thank you I’d love to pop back to Healthy 2Day Wednesday. Thank you so much for sharing this post. Much appreciated! This looks scrumptious! I can’t wait to try the recipe. Thanks so much for linking up last week to Creative Thursday. Can’t wait to see what you have for this week’s party! Have a great week. I cannot rave enough about this smoothie!! I cut the portions down because I have just a small green bullet blender and it also helps with portion control but wow this was so tasty. It tasted like cake batter or a quick bread batter – a complete favorite of mine, but no added sugar! Just golden raisins, frozen cherries, pecans and a little mango. Thank you so much for the recipe. Absolutely love the surprise of adding oats! !